tl;dr: I don’t agree with the Olympic Games taking place in a country that represses homosexual persons, so I’m going to knit a rainbow colored shawl / scarf / whatever and give it away for LGBT charity. Even as a straight person I can’t help but be horrified at the way LGBT persons are treated in Russia, and while I’ve been sorely disappointed with the IOC for quite a few years, I think holding the Olympic Games under these circumstances is a new low even for them. To express both my protest against the Sochi Games and my solidarity for the LGBT community, I will knit something rainbow themed, and raffle it off once it is finished. 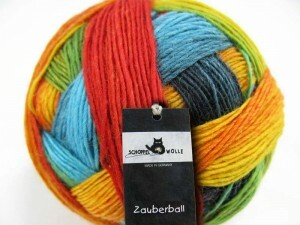 I’m not certain yet, what exactly to knit, except that it will be made from a Zauberball in the colorway “Frische Fische”. Maybe I’ll think of a few other models as well. In a raffle – as you may know – you buy tickets for a certain amount of money, and to chose the winner, I will randomly draw one ticket. For example, if a ticket costs 5€, you could buy four tickets for a total of 20€ and thus have four chances of winning. I think this is better than a standard auction, because even people who know they can’t afford to get near a winning bid may buy a single raffle ticket, and still have a chance at winning. I’m not certain yet whether a ticket will cost 5€ or 10€… Feel free to advise me in the comments. To take part, you need to donate your money to an LGBT themed charity, and somehow prove this to me – by sending a screenshot or something similar. Since I will be running a list, please let me know under what name you want t appear in that list (yes, “anonymous” is an option). My friend sofakant has listed a few charities here: Sochi. The Olympic Games run from February 7 to February 23, so that’s my knitting time. I guess, I’ll decide on the pattern and the final ticket price on the 6th, and open the raffle on the same day? 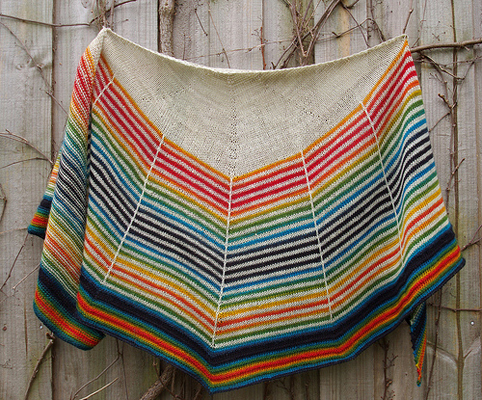 I’ll post daily updates here, and on Ravelry: dannyKay’s Rainbows Over Sochi (it’s still a bit bare…). If you have questions, let me know in the comments or on Twitter: danielaKayB.